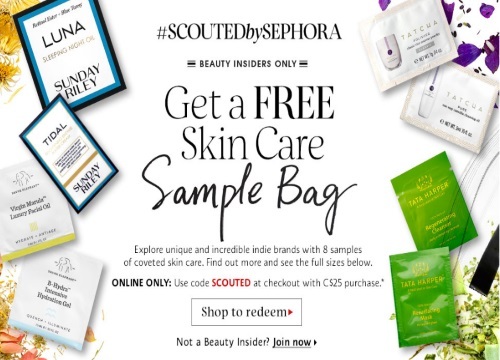 Sephora is offering a Free Skincare Sample Bag with any online purchase of $25 or more! Explore unique and incredible indie brands with 8 samples of coveted skincare from brands including Sunday Riley, Tatcha, Drunk Elephant and Tata Harper. Enter the promo code SCOUTED at checkout. Offer is valid for Beauty Insiders only for a limited time.